This news could be more significant than any offseason roster additions or projections in determining which games (and how many) you will attend this season. The Twins just released their promotional schedule for the 2017 season at Target Field. Depending on your level of pessimism after last year’s 103-loss campaign, this news could be more significant than any offseason roster additions or projections in determining which games (and how many) you will attend this season. April 3 vs. Royals — Long-sleeve hooded T-shirt (first 30,000 fans): I can’t say I own a lot of hooded T-shirts. Maybe I want one? If so, I know where to be: Target Field on Opening Day. 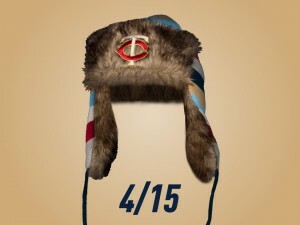 If a chance to see the Twins open the season at home for the first time since 2013 doesn’t move you, maybe a pretty nice giveaway will do the trick. And because there are 30,000 available, you don’t have to get there REALLY early to ensure you get one. 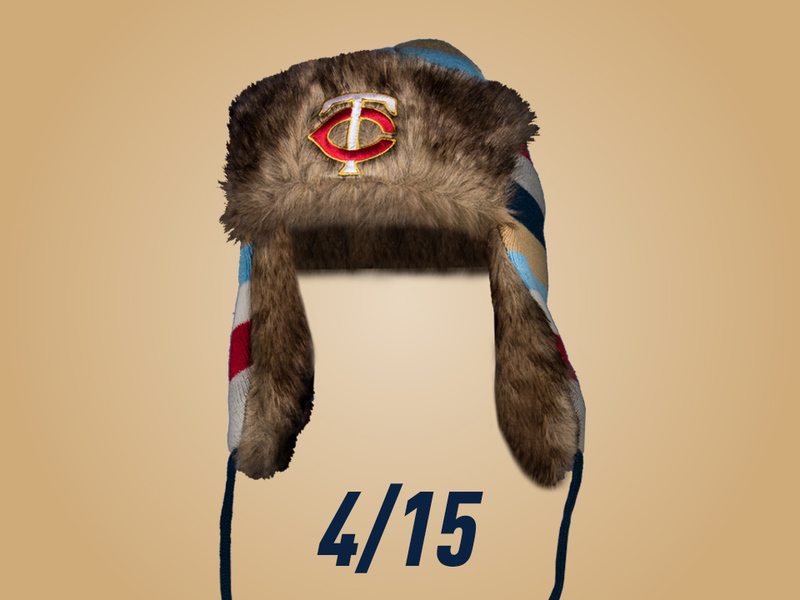 April 15 vs. White Sox — Fur trapper hat (first 10,000 fans): I’m a sucker for odd hats, and this one certainly qualifies. This also falls on Jackie Robinson Day, which is one of the best overall promotions MLB puts on. July 22 vs. Tigers — 1987 World Series commemorative stein (first 10,000 fans): Relive the glory of the Twins’ first World Series title with a commemorative stein. Added fun: guessing how many beers each member of the 1987 Twins consumed after winning Game 7. Aug. 4 vs. Rangers — Commemorative trading card pack (all fans): This doesn’t fall into the category of really cool gift, but there really isn’t much better than opening a pack of baseball cards. If you’re not instantly transported to your youth (assuming you aren’t a kid already) when you open a pack of cards, I feel for you. Plus, this promotion is for all fans. Aug. 18 vs. Diamondbacks — Rod Carew bobblehead (first 10,000 fans): This should be one of the best nights at the ballpark in 2017. Not only are the Twins honoring Rod Carew with a bobblehead, but also there will be fireworks with 1977 songs playing in the background (the year Carew won the MVP award and flirted with .400 before settling for only .388). Honorable mention: May 20 (batting practice pullover); June 18 (Twins socks for Father’s Day); Aug. 19 (Michael Cuddyer bobblehead).